Mrs Akkriti Bhatt, the daughter of the Maj General Anil Kumar Bhatt AVSM SM VSM, Colonel 9 GR. Col & Mrs Lalit Sharma (former CO 5/8GR). The 5/8 GR was formed from the 4/2GR in 1947. Col and Mrs SK (Sanjay) Chhibber (former CO 1/8GR). The day’s programme started with a moving Memorial Service held in the Royal Memorial Chapel where the Chairman GBA, Colonel David Hayes CBE read the Act of Remembrance, followed by a minute’s silence stared with the Last Post and ending with the Reveille. 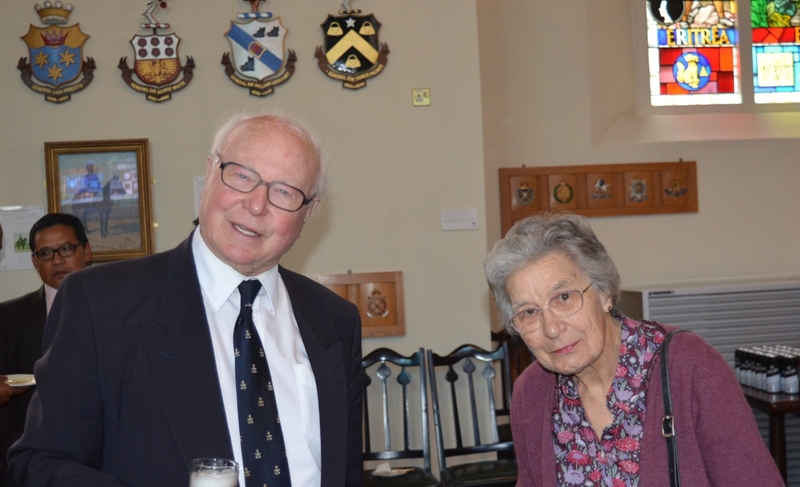 The address was given by the Reverend Canon William Challis, whose father had served with 9th Gurkha Rifles. Once the Memorial Service had ended, all members were piped to the Indian Army Memorial Room for drinks and tipan-tapan where old friends and former comrades could meet and talk. In addition, there was an opportunity to purchase books, silver and Gurkha memorabilia from the Gurkha Museum mobile shop located inside the Main Entrance hall. 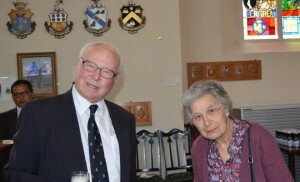 Following drinks and tipan-tapan, everyone was piped to the GBA Reunion Luncheon, where apart from the Presidents Table, all members were sat by Regimental Association. The tables were splendidly arranged in the Old College Dining Room with RMAS silver, but pride of place was given to ‘The Gurkha Soldier’, a silver statue which had been presented to the GBA by Mr Michael Uren in 2013. Following a splendid Gurkha Curry lunch, the Chairman proposed three toasts; the loyal toast to Her Majesty The Queen; followed by toasts to the President and People of Nepal, and to the Brigade of Gurkhas. The lunch concluded with a short speech given by the Chairman GBA, on the activities and achievements of the Serving Brigade and reminded all of the forthcoming GBA events. After lunch, for those who wanted too, there was ample opportunity to walk the corridors of Old College and view the many pictures of the Indian Army on loan from the Imperial War Museum, revisit the Indian Army Memorial Room or walk the grounds before their final departure back to unit lines or to home locations. Our thanks go to the Commandant Royal Military Academy, to the Old College Mess Staff, to Gurkha Company Sittang who laid on the administrative arrangements and to 2 RGR who provided the bugler and piper for the occasion.